One of the things I left Scotland with was a belief that Scots have a real sense of place in their country. Each region has its own unique charm and beauty that seems to tie people to it. The Isle of Harris, isolated, rugged and sparsely populated, is no exception. 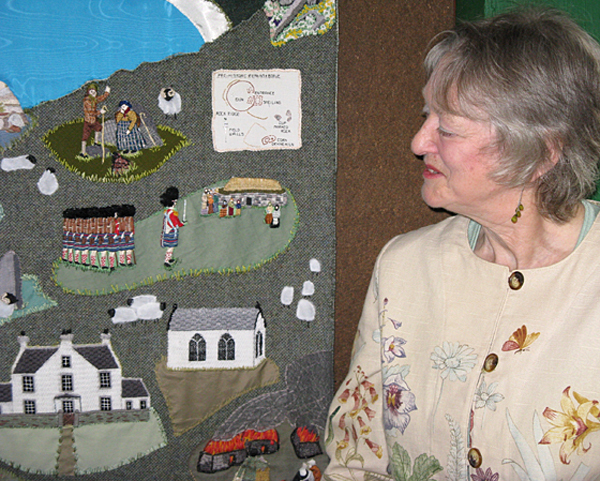 Gillian Scott-Forrest organized the Harris Tapestry Project to celebrate the millennium in 2000. 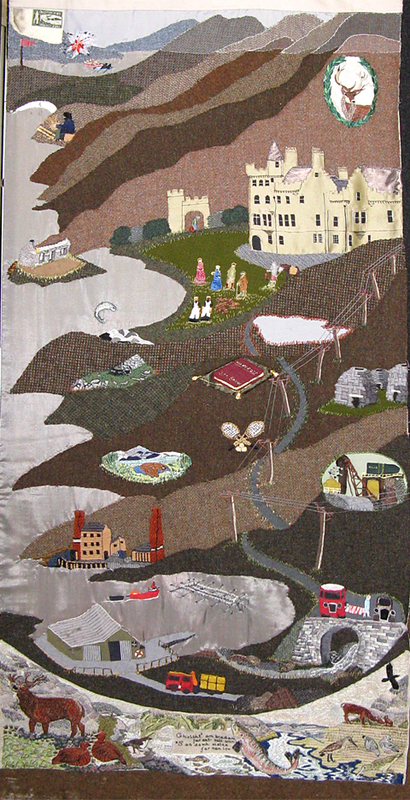 Their goal was to celebrate Harris’ recent history, that is the past 1000 years, by creating a series of tapestries, each focused on a different region of Harris and with a different historical theme. 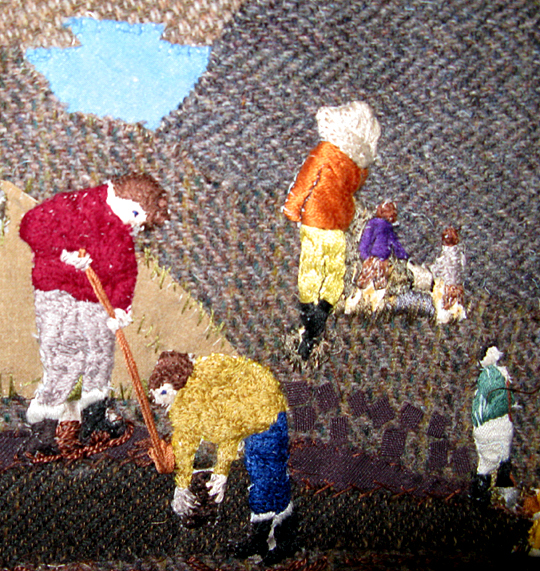 (I should note that the term tapestry is used here differently than in my other posts. 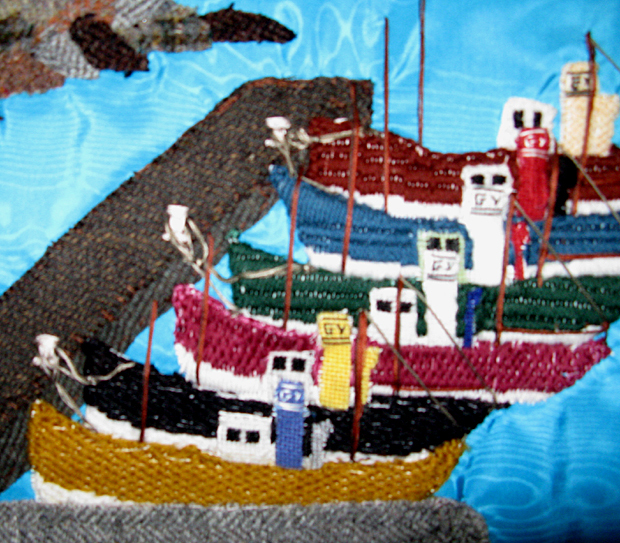 Formally, tapestry is a form of weaving that produces pictorial or compexly designed patterns. 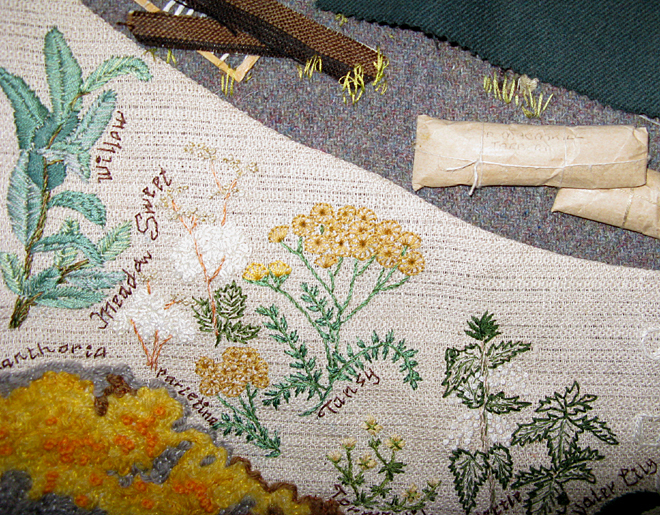 The tapestries in this project are a mix of quilting, embroidery, cross-stitch and needlepoint.) 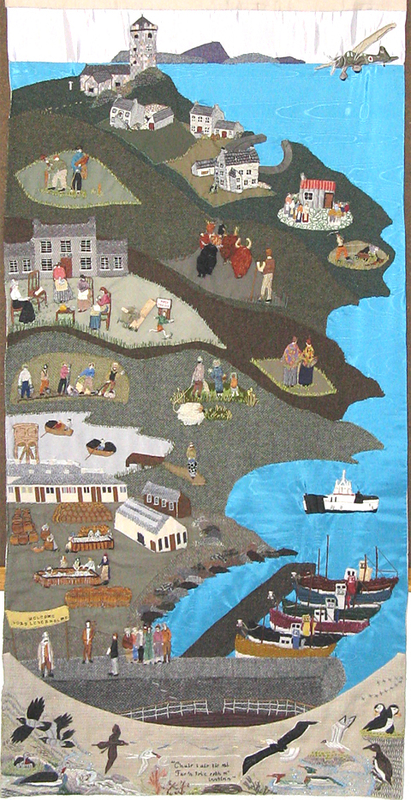 While we were in South Harris, we met with Gillian who told us about the project and showed us the tapestries. 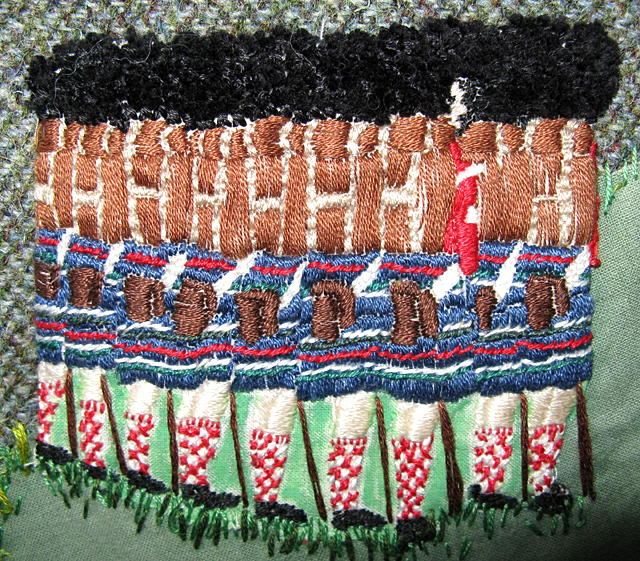 What makes these fascinating to me is that this was truly a community effort with many men and women–some of whom had never done this sort of work before–participating. This was a way for them to create something as a community that would celebrate their long history. 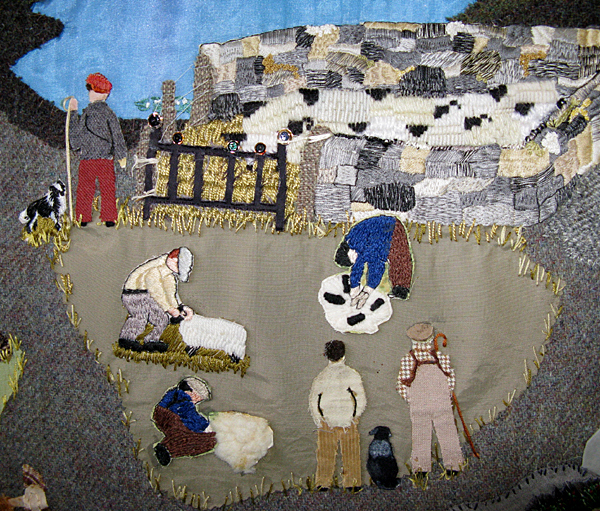 The result was a series of 9 panels, one “overview” of Harris (above) and eight others of the different regions. 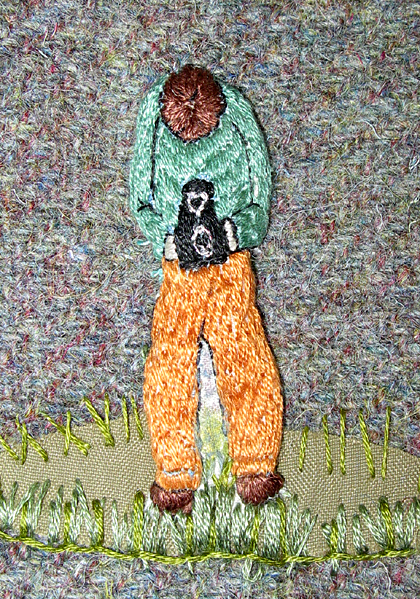 Looking closely at these, you can see that many of them use patches of Harris Tweed in various shades and textures to mark out hills and farmland. 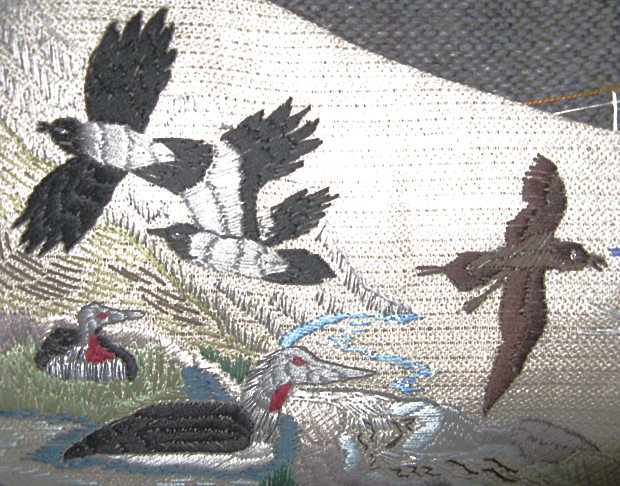 Another interesting part of the design that ties them together is natural wildlife. 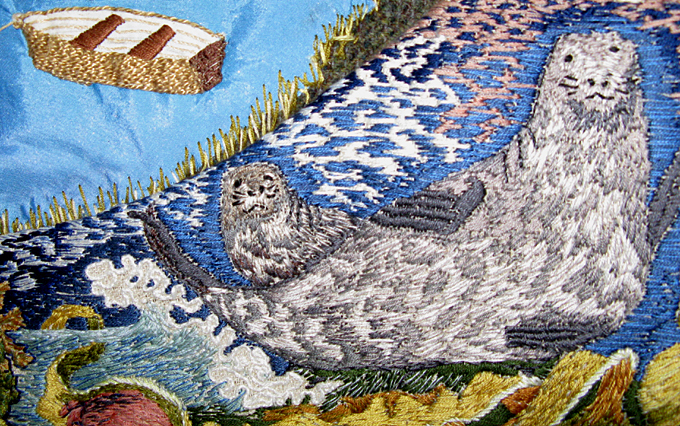 At the bottom of each panel one or both corners are pictures of plants and animals of Harris. 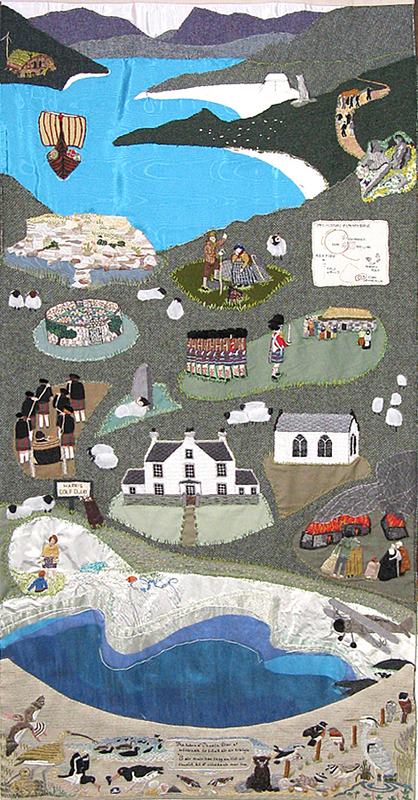 The theme of the Isle of Harris panel is Travellers. 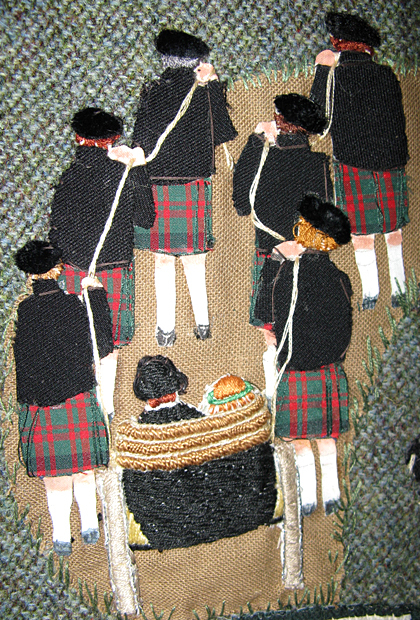 Following are each of the other tapestries and its them, plus several small closeups so you can see the detail work in some of the pieces. Tarber and Scalpay, theme Commercial. My favorite part of the above panel is the photographer! 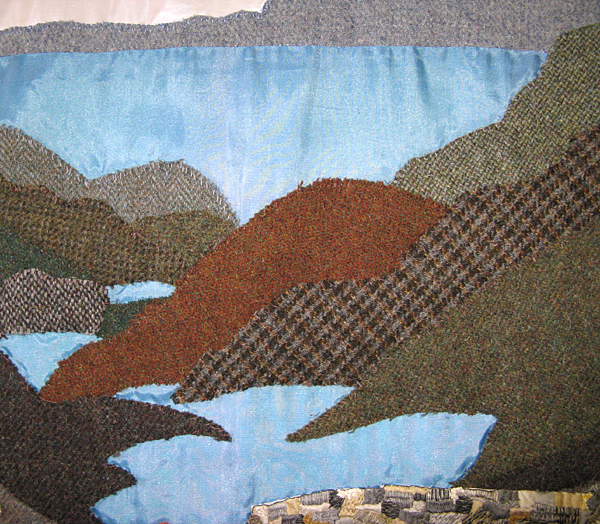 The Golden Road, theme The making of Harris Tweed. The Bays Area, theme The movement of people. 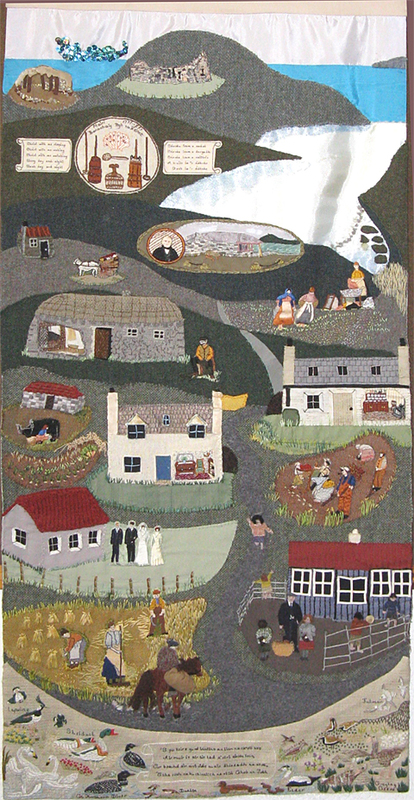 Rodel and Leverburgh, theme The endeavors of two landlords. The West Side, theme Ancient history linking to modern times. The Huisinis Road, theme Estate life.